CP Plus is one the most reliable device when security is the concern. It is a core security product that is used as multifaceted surveillance applications. It comes up with advanced features and functions that enable you to record and manage video footage to keep your surrounding secured and protected. But this device has also come up with multiple errors that might hamper a users experience. Despite advanced features and easy security options provided by CP Plus CCTV, you might encounter several issues that might hamper your security. Mishandling and overuse is a primary reason for the problems that users are encountering with their CP Plus CCTV. If you are new CCTV user, it is not possible to resolve the issues on your own. But sometimes an experts guidance might help you to sort it out patiently. We offer best installation services that will guide you the right way. Following are some of the common issues users are encountering after installing your CP Plus CCTV. Incompatible products and hence cannot work as a system. Trouble in setting up secure access code. False alarms were repeatedly occurring. In case security monitors and recorders are providing incomplete coverage. Bright spots are present in the final image. Whenever you face any of the above problems, do not take it lightly. 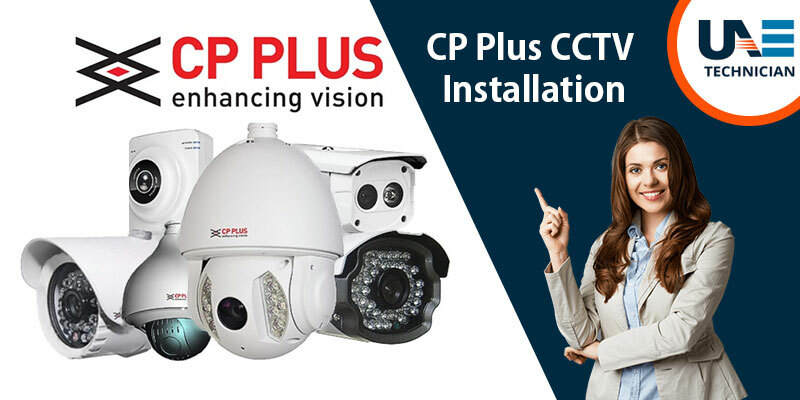 Connect with UAE Technician for CP Plus CCTV maintenance services in your budget. Our team works on various cases and capable of handling any complicated situation. We try to provide solutions which are easy and affordable. We are experts in CCTV installation. Assist in solving wireless CP Plus IP camera setting issues. We provide easy steps for pre-purchased CP Plus full package installation kit. Help to resolve CP Plus digital video recorder problems. We offer site assessment for CP Plus camera placement.